Phabrix Sx TAG - Fiber Group Inc. The TAG has been developed within the same rugged form factor as the Sx range and in addition to SDI and AES generation and analysis brings composite I/O with additional functions activated by purchasing the appropriate option. The TAG incorporates a number of new interfaces to appeal to those customers looking for a cost effective entry into professional test and measurement. The new video interfaces include support for SD-SDI and HD-SDI as standard with an option to upgrade to 3G-SDI. Composite analysis and generation has been included for those regions supporting the transition between analogue and digital switchover. An SFP cage has usefully been integrated into the design principally for optical infrastructure testing (single and dual SFP modules) however the cage can support a range of SFP’s as they become available. 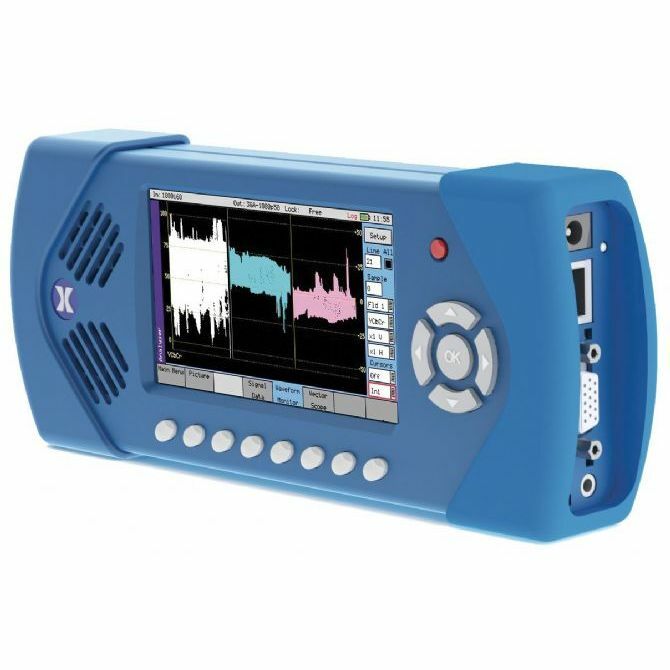 Reference input with waveform view and a useful reference generator output have been included. On the audio side the TAG provides a D15 connector providing both balanced analogue audio and AES I/O. AES waveform display allows visual check for levels and reference lock. Advanced audio features have also been incorporated into the TAG. PHABRIX has worked closely with Dolby to provide support for Dolby E, Dolby D and Dolby D plus and these are all supported and considered by Dolby as the replacement to their now discontinued DM100. A break out cable can be purchased to extend the connectivity of the TAG. The TAG benefits from PHABRIX’s advanced TCP/IP remote control connection allowing the instrument to be controlled via any standard web browser. Additional data such as screen grab (bmp) and advanced logging can be easily transferred from the instrument which can be situated anywhere within a facility connected by Ethernet. The TAG is easy to handle fitting in one hand leaving the other free to attach cabling. The colour of the chassis is different to the black of the other Sx products with PHABRIX choosing an easily identifiable blue for the TAG’s aluminium shell. Control of the unit is achieved using PHABRIX’s intuitive GUI where colour coded instruments are never more than two button presses away from the home menu, a great feature operating equipment in confined spaces. A lithium polymer battery provides 2-3 hours of untethered operation and the instrument can be mains powered while being recharged as a background task.